The Kremlin is a complex in the heart of Moscow that now serves as the residence of the President of the Russian Federation, and is adjacent to Red Square. 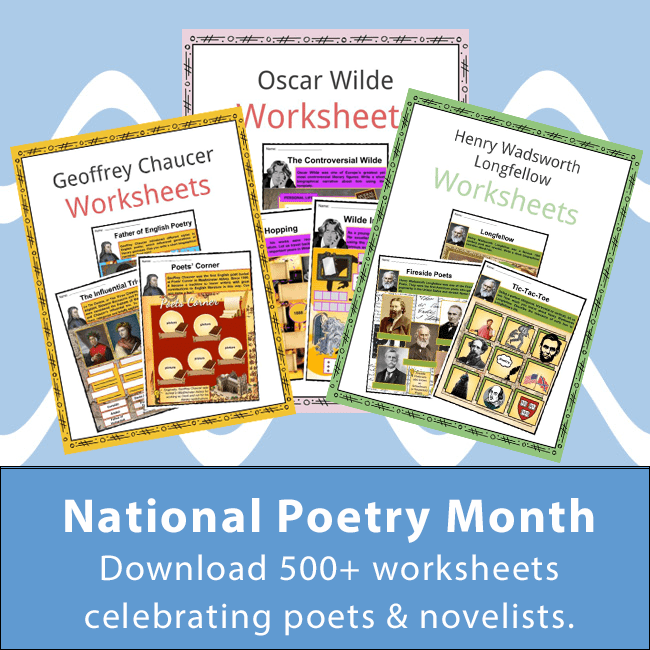 Click the button below to get instant access to these worksheets for use in the classroom or at a home. This download is exclusively for KidsKonnect Premium members! Editing resources is available exclusively for KidsKonnect Premium members. To edit this worksheet, click the button below to signup (it only takes a minute) and you'll be brought right back to this page to start editing! 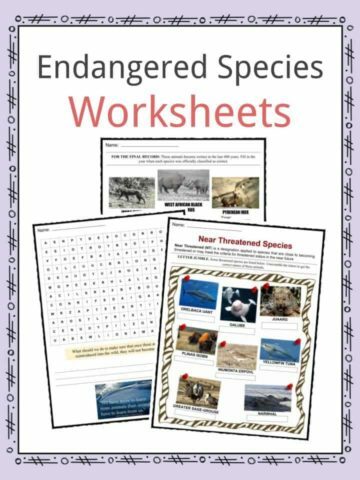 This worksheet can be edited by Premium members using the free Google Slides online software. Click the Edit button above to get started. This sample is exclusively for KidsKonnect members! 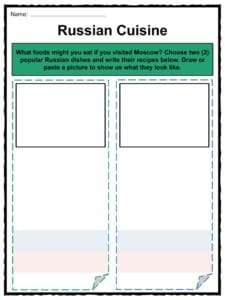 To download this worksheet, click the button below to signup for free (it only takes a minute) and you'll be brought right back to this page to start the download! 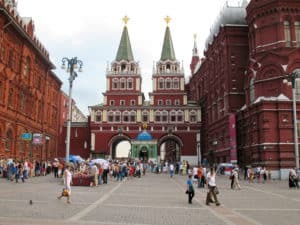 The Kremlin is a complex in the heart of Moscow that now serves as the residence of the President of the Russian Federation, and is adjacent to Red Square, a city plaza that serves as a point of origin for Moscow’s major streets and transport links. The two became a UNESCO World Heritage Site in 1990. 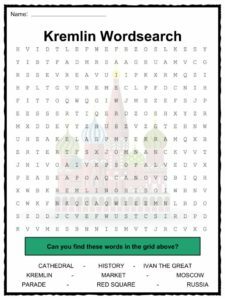 See the fact file below for more information on the Kremlin & Red Square or alternatively, you can download our 21-page World Heritage Sites: The Kremlin & Red Square worksheet pack to utilise within the classroom or home environment. The Kremlin is the oldest part of Moscow; its first mention was simply as a fortification in the Hypatian Chronicle in 1147. From the Kremlin, other settlements developed and grew around it, therefore creating the need for new fortifications, such as the Kitaigorodsky Wall. It was this pattern that made the Kremlin, as typical of other Old Russian cities, the centre of Moscow. The word “Kremlin” was first used to describe the fortification in 1331; before this it was referred to as the “grad of Moscow”. Between 1485 and 1495 Grand Prince Ivan III, also known as Ivan the Great (pictured to the right), renovated the Moscow Kremlin by bringing in skilled architects from Renaissance Italy to design a new Kremlin wall as well as design three new cathedrals, a church, and a palace. Once these new structures had been built, the monarch announced that no new structures should be built near the citadel. 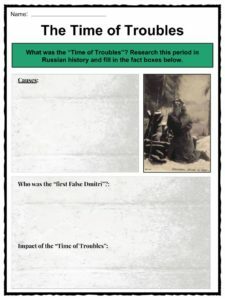 During the “Time of Troubles”, a period during which a famine, civil uprisings, the Polish-Russian War, and the occupation of Russia by the Polish-Lithuanian Commonwealth took place, the Kremlin was held by Polish forces for two years. Once the occupation was over, and the Kremlin was liberated, more buildings were constructed, but it was abandoned and neglected shortly after until 1773, when Catherine the Great (pictured to the right) took up residency. 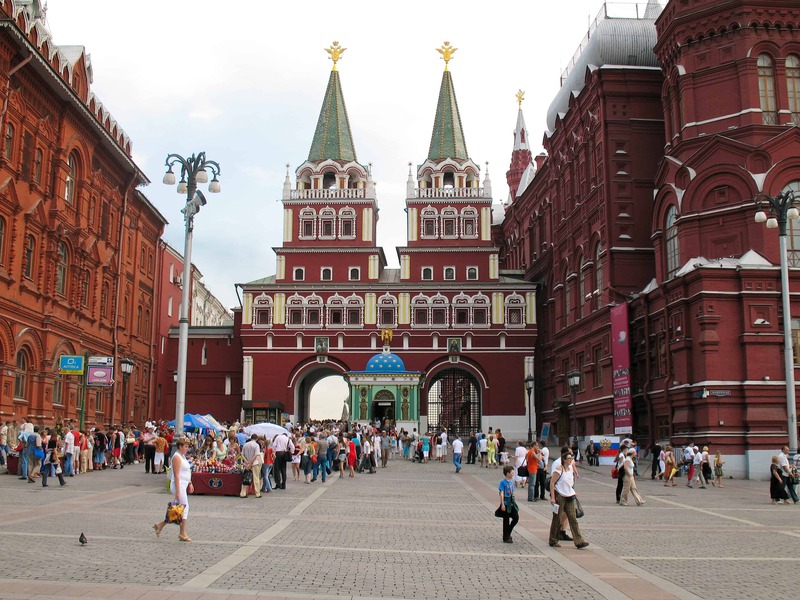 Red Square was historically used to serve as Moscow’s main marketplace; it was also the site of public ceremonies. In Russian, the square was called Veliky Torg (Great market), but after a fire the name changed to Pozhar (burnt); in 1661 it was given its name Krasnaya (red). Red Square was the centre of trade for Moscow. Saint Basil’s Cathedral, pictured to the right, was built from 1555-1561 as requested by Ivan the Terrible, and was the first building that gave the area its distinctive silhouette. As the years went on, Red Square became considered a sacred place where festivals, processions, and religious ceremonies took place. By the late 17th century, all of the characteristic wooden structures in Red Square were replaced with stone and tent roofs, along with fortified gates and large stone buildings. During the Soviet era, Red Square continued to serve as a focal point for the new state. It became a focal point for military parades and marches in 1941, 1945, 1965, 1985, 1990, and 2015. Red Square has also served as a concert venue for performers such as Paul McCartney, Red Hot Chili Peppers, Shakira, and many more. The Kremlin and Red Square were one of the first sites in the USSR that were added to the UNESCO World Heritage List. The Beatles were banned in the Soviet Union, as well as the sale of Beatles records. The first military parade since the collapse of the USSR in 1991 was the 63rd anniversary of the defeat of Nazi Germany in World War II in May of 2008, as seen in the picture on the right. The buildings surrounding Red Square are all very important in different ways. Lenin’s Mausoleum holds the body of Vladimir Ilyich Lenin, who was the founder of the Soviet Union. The bronze statue of Kuzma Minin and Dmitry Pozharsky stand in Red Square to symbolize the clearance of Polish invaders from Moscow in 1612 during the Time of Troubles. Examples of Russian Orthodox art can be seen throughout Red Square as well as inside the many churches and old buildings therein. The name Kremlin means “fortress inside a city”. The term “Kremlinology” refers to the study of Soviet and Russian politics. Moscow and Saint Petersburg rank as the top two tourist attractions in all of Russia. This is a fantastic bundle which includes everything you need to know about Kremlin & Red Square across 21 in-depth pages. 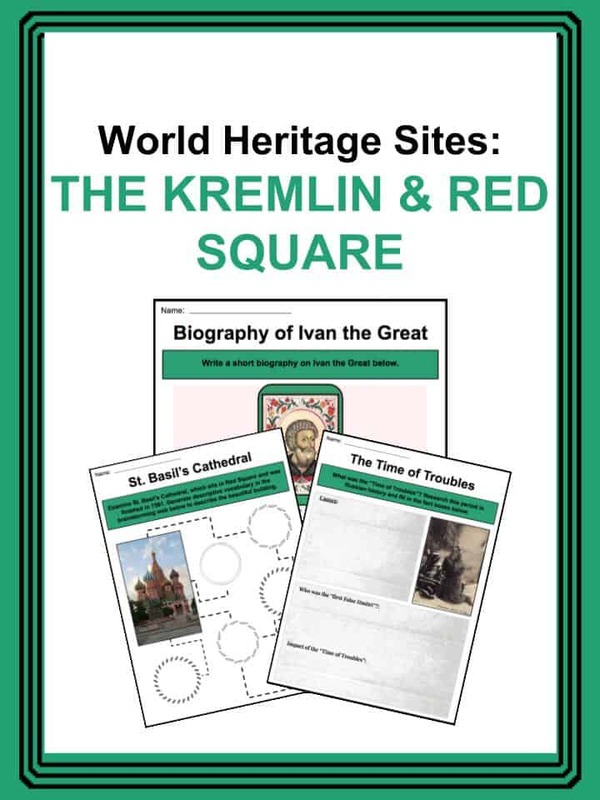 These are ready-to-use World Heritage Sites: The Kremlin & Red Square worksheets that are perfect for teaching students about the Kremlin which is a complex in the heart of Moscow that now serves as the residence of the President of the Russian Federation, and is adjacent to Red Square, a city plaza that serves as a point of origin for Moscow’s major streets and transport links. The two became a UNESCO World Heritage Site in 1990. The Kremlin & Red Square Facts. 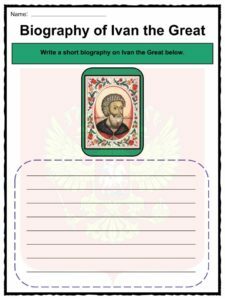 Biography of Ivan the Great. Compare & Contrast the Ivans. 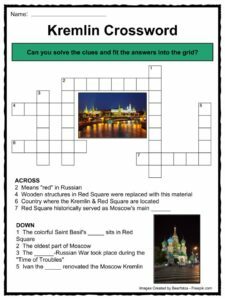 Kremin & Red Square Quiz. If you reference any of the content on this page on your own website, please use the code below to cite this page as the original source. 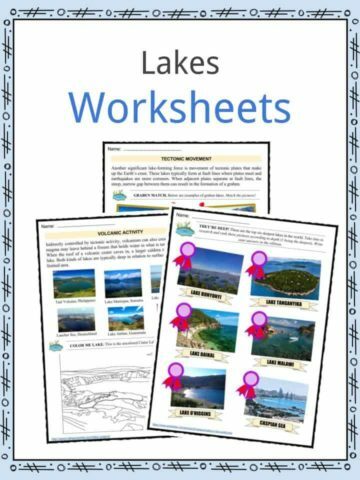 These worksheets have been specifically designed for use with any international curriculum. 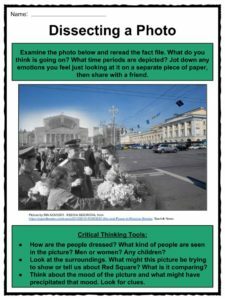 You can use these worksheets as-is, or edit them using Google Slides to make them more specific to your own student ability levels and curriculum standards. 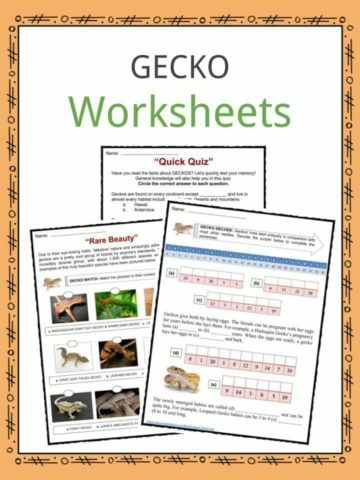 KidsKonnect is a growing library of high-quality, printable worksheets for teachers and homeschoolers.